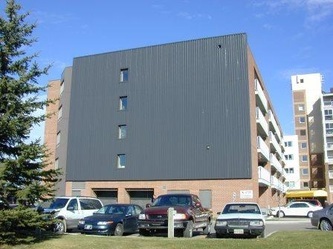 Three adjoining apartment buildings, each originally built with a water source heat pump system using a gas boiler as a heat source and a cooling tower to dissipate heat were converted to a GCHP system. 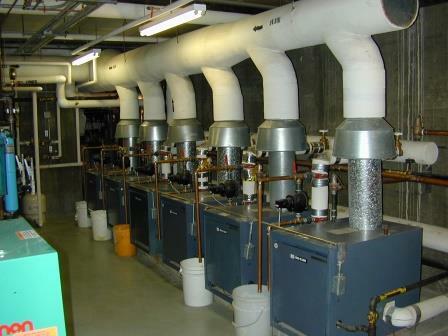 Most of the natural gas boilers in the 3 mechanical rooms were replaced with water to water heat pumps to maintain a minimum building loop temperature of 60°F (15°C). 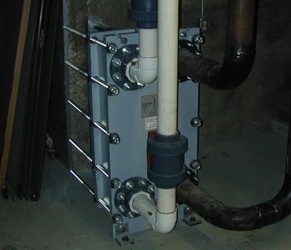 Energy is transferred from heat pumps to building loop via heat exchanger. 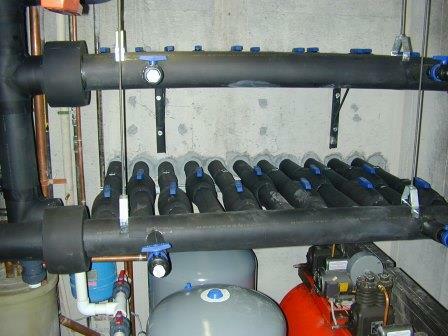 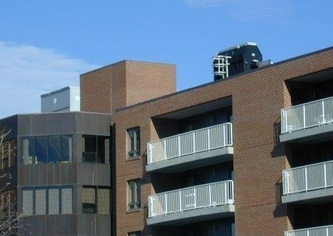 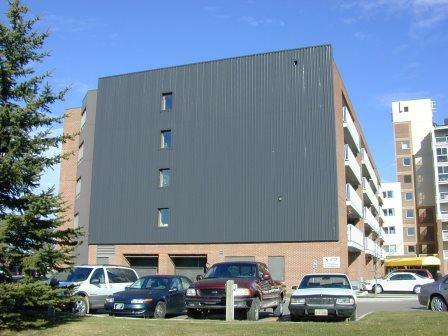 GHX absorbs heat from heat pumps in building in place of cooling towers. 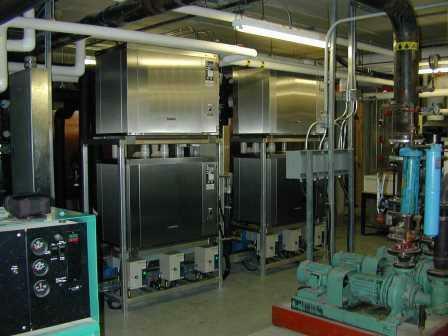 The building was retrofitted with a GCHP system in 2003. Annual savings totaled approximately $100,000 annually in the 228 apartment complex.